Strawberry Chic: Almost time to decorate for Halloween! Almost time to decorate for Halloween! I may have gone a little crazy with last year's after Halloween sales. I just can't help myself (I have my mother to thank for that), I mean everything I bought was at least 75% off so it was really close to free! Plus Halloween is such a fun holiday to decorate for! 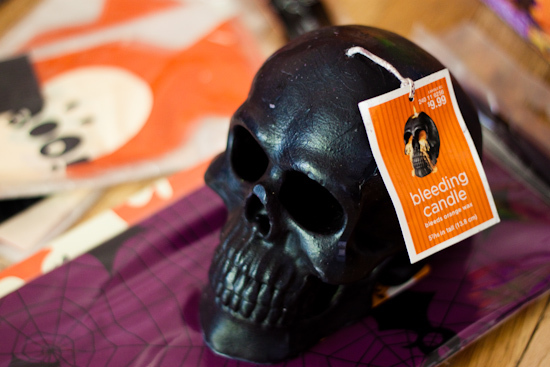 1st - The "Bleeding Candle" and I am SO excited to light this! 2nd. 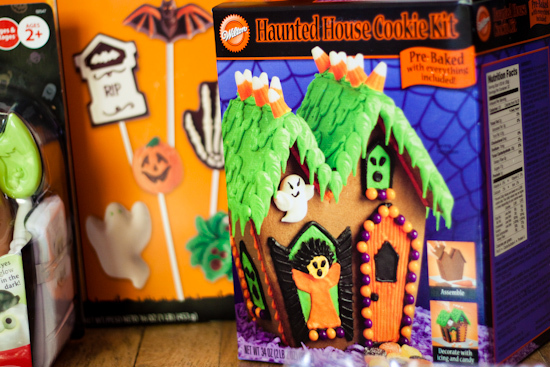 The "Haunted House Cookie Kit" ... I know it's totally a Christmas knock-off but I'm excited to put it together with my little man, I think he will really enjoy it! 3rd. 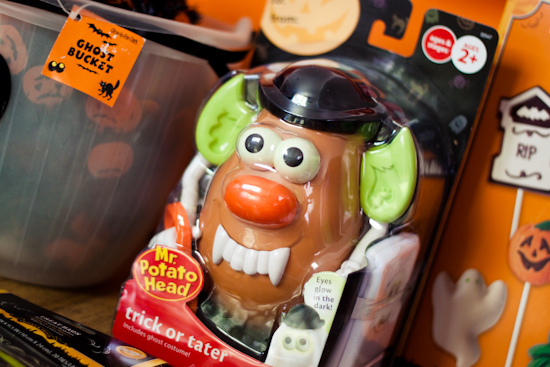 The "Trick or Tater" has got to be my absolute favorite, I'm just praying that all of his accessories won't get lost (especially now that my son's favorite new trick is to put anything and everything down the floor vents!). I know Tuesday is my normal DIY post, but I'm switching things up a little this week, and I will have a fun Halloween decor DIY project for you tomorrow so stay tuned! Do you shop the after holiday sales? Or am I the only crazy one out there? I love that Mr. Potato Head! You scored a TON of stuff! I always intend to shop after-holiday sales, but I never do. This year I'm going to try to! I definitely shop after holidays. Wrapping paper and cards are especially a weakness. Oh and easter bunnies for baking white chocolate raspberry scones. Though this year I have nothing for any holidays - we sold everything before moving to France for the year, so we are starting from scratch. I like alloween- but my decorating holiday is CHRISTMAS!!!!!!!!!!! I can't WAIT!!!! Day before Thanksgiving- let the games BEGIN!!!!! I taught you well. 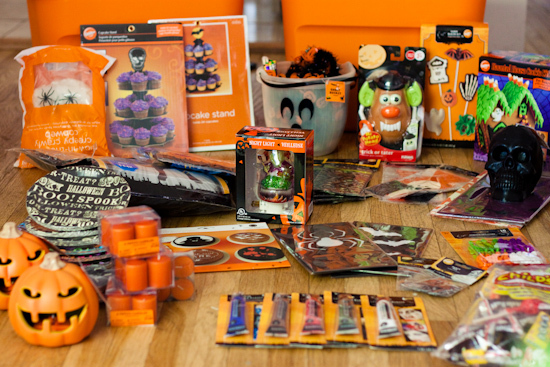 Look at all those fun things you have for Halloween. You got me excited already for this years sale.